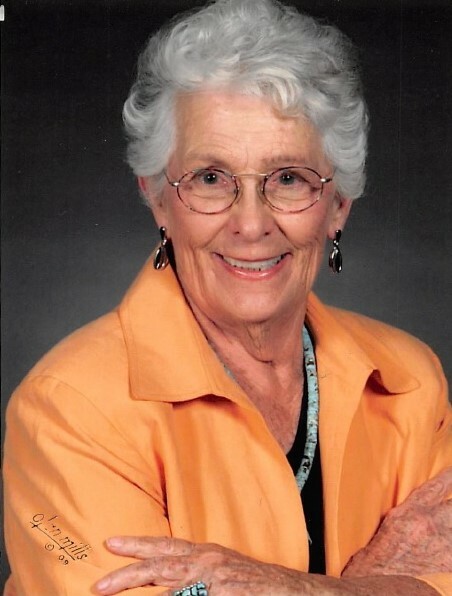 Betty E. (Bottrell) Stiegelmeyer, 89, passed away January 6, 2019 in Scottsdale, AZ. Born in Denton, NE, she spent her childhood in eastern Nebraska. She married Wally Stiegelmeyer in 1948. They resided in Scottsbluff, Ne for 25 years where they raised their 3 children. Betty was active in Cub Scouts, school activities and St. John’s Lutheran Church. She served as Executive Director to the local United Way for several years. They moved to Colorado Springs, CO where she was a Hospice and hospital volunteer. She and Wally co-founded the Pikes Peak Chapter of The Compassionate Friends (an organization for bereaved parents who have lost a child). She served on that National Board for 3 years. They then moved to Sun City West, AZ to enjoy golf, sunshine and their grandchildren. She was active as a hospital volunteer and member of Crown of Life Lutheran Church. She is survived by her daughter and son-in-law, Cathy and Bill Cowdrey. Granddaughters Alicia Cowdrey and Kari (Bryan) Kuklovsky, and great granddaughters Ellie and Keira. She was preceded in death by her husband Wally and sons Jim and Scott who both died of Cystic Fibrosis. A private celebration of her life will be held at Crown of Life Columbarium. In lieu of flowers, memorial donations may be made to The Compassionate Friends (compassionatefriends.org, 877-969-0010) or Hospice of the Valley (HOV.org, 602-530-6992). Please join Betty’s family in sharing memories, pictures or videos on her tribute wall at www.caminodelsol.com.